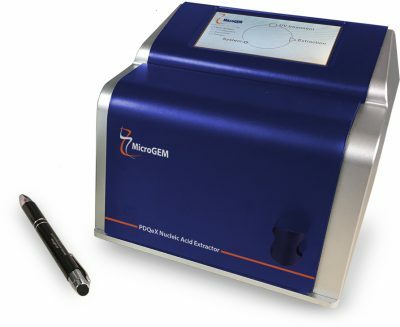 Temperature-controlled, hands-free, single-tube processing makes prepGEM Universal perfectly suited for preparing DNA from cell culture, even single cells, and ensures the integrity of the sample with no loss of DNA. prepGEM is an excellent tool for researchers performing confirmatory genotyping of transfected cells following CRISPR/Cas9 gene editing. For tissue culture, prepGEM Universal gives linear results from 200,000 cells down to 1 single cell. The beauty of the method is that it can be scaled down to sub-µl volumes making it perfect for single-cell work. 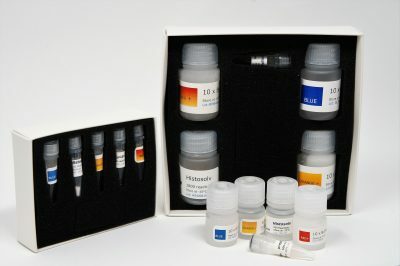 The kit produces single-stranded DNA which can be used for STR, PCR, WGA and qPCR. The single-step, closed-tube lysis and extraction are highly desirable because MicroGEM extraction buffers are compatible with downstream reactions. The PDQeX is best suited for larger sample sizes (>200,000 cells) when double-stranded DNA is needed, for example for NGS (Next Gen Sequencing) or other methods requiring dsDNA. The system provides greater automation and generates purified DNA that also works perfectly for STR, PCR and qPCR.